August 2018 marks the 250th anniversary of the departure from Plymouth of His Majesty's Bark Endeavour under its captain, Lieutenant James Cook, on a three-year odyssey that was to be among the most significant voyages of European discovery ever made. And that being so, there could be no better time to bring out this new edition of Captain Cook's Apprentice – very much a servant boy’s mess deck view of the great adventure, which did so much to expand human knowledge in the arts and sciences, and our understanding of the world we inhabit. For many of us who live in the new nations of the Pacific that arose in Cook's wake, the Endeavour voyage and all that followed still resonate in our daily lives – as I was to discover quite vividly for myself. The best part of writing any book is the research journey one has to undertake: and the best part of this book was the eight-day voyage I made as a supernumerary on board the Endeavour replica from Melbourne to Sydney. It was a pretty ghastly start, to be sure, hit by a violent storm as we left Port Phillip and laid low with seasickness. I sprawled on the deck, clipped to a safety line on the heaving ship, pouring my innards into Bass Strait and wanting only to die. But I came good the next day, having the only firm bunk on board in 'Banks's cabin' (everybody else, including the captain, sleeping in those awful swaying hammocks). In any case, you have to know the depths in order to appreciate the poetic heights of a sailing ship: of standing on deck in the fair, grey dawn; the wind luffing in the sails; the light just beginning to slip above the eastern horizon. It was on such a morning of the fourth day into our voyage, that Captain Ross Mattson pointed to a smudge on the distant shoreline and said, 'That's Point Hicks over there.' Cook's first landfall on the east coast of New Holland. And I had one of those moments of epiphany that sometimes occur in life. Here, I thought, for me and my family – and for all whose families have migrated to the country we now call Australia over the past two-and-a-quarter centuries – here is where it all began: from such an early morning sighting in April 1770 on the quarterdeck of a ship just like this. It was the beginning of the story of European settlement: one that actually commenced eighteen years later with the colony at Sydney Cove, largely at the promptings of Sir Joseph Banks and James Matra [Magra] who'd both been aboard Endeavour. And of course from there it has developed over the generations into the free, prosperous nation we know today. But I was also conscious that for the indigenous people encountered by Endeavour men and later voyagers – in Australia, New Zealand, Tahiti and islands across the Pacific – it also marked the beginning of the destruction of traditional societies and cultures. Very often of the people themselves, and not just by invasion, dispossession and superior weapons. For along with their material goods and knowledge, much of which was highly desirable, Europeans also brought more insidious possessions: smallpox, measles, venereal disease, even the common cold that wrought havoc among communities that had no resistance to them. Within a few years of colonisation, the Aboriginal population around Sydney had declined by some 70 per cent, largely the result of infection – not to mention the effects of alcohol which devastated many Aboriginal communities, as it still does. Recent controversies over the inscriptions on those statues of Captain Cook claiming that he ‘discovered’ Australia or other territories, for example, show how potent a symbol he remains to all people touched by the subsequent histories of his voyages. Personally, I think there’s a good case for placing an addendum on such statues. Cook did not ‘discover’ Australia or New Zealand, Fiji, Tonga or Hawaii. These lands were discovered by the first indigenous inhabitants, and their descendants have every right to feel they’ve been rendered ‘invisible’ by those who give that honour to the Captain. Yet to replace the original inscriptions – or even to remove the statues entirely – would be folly. They speak to their time and the people who created them. ‘Historical understanding proceeds through a process of accretion, not erasure’, as the director of the National Museum of Australia, Dr Mathew Trinca, wrote in a fine article on Cook and the Aborigines. Quite so. The challenge we have today is to incorporate both indigenous and immigrant perspectives in our telling of the nation's story. Even Captain Cook recognised that, whatever advantages might accrue to Britain and the world from his explorations and contact with indigenous people, they came at a dreadful cost. The tropical climate, the easy life, the sexual favours granted to the visiting sailors on Tahiti in return for a scrap of metal, made it seem like some earthly paradise. Yet the discovery that venereal disease was even then rife among Tahitians filled him with dismay. It would, Cook confided to his journal, be to 'the eternal reproach' of those who brought it there. And it was of little comfort to be told by the people it had been introduced by the crews of either Captain Wallis or de Bougainville’s two ships. The worm was already in the fruit of this apparent Eden. This reminds that the French were also active in the Pacific at the time of the Endeavour voyage – as the Spanish and Portuguese had been in earlier centuries, claiming countries for their respective monarchs and establishing colonies. Indeed, Cook and de Surville passed each other's track in heavy weather rounding the north cape of New Zealand in December 1769. 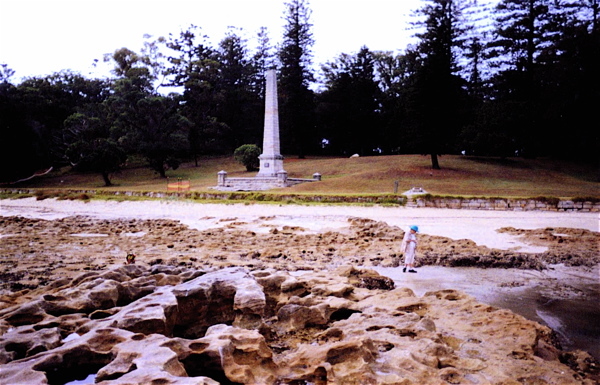 Within days of the First Fleet arriving at Botany Bay they were visited by La Perouse, and in following years d'Entrecasteaux and Baudin, among others, visited the Australian coast. It's clear that European migration into the South Pacific would have occurred eventually, even without Cook's three great voyages. The significance of Cook lay in the extraordinary accuracy of his navigation and the charts he produced. If a satellite image of the east coast of Australia is overlaid on Cook's chart, the correlation with those sections he actually mapped is remarkable. Certainly, there are blanks that were later filled in by others; but at the very least the scope and accuracy of Cook's achievement helped ensure that the region was opened to European trade and settlement earlier than might otherwise have been the case. And because of the Endeavour voyage, it's to our good fortune (though Aborigines and Maori might disagree) that the two principal land masses Cook charted – New Zealand and the eastern part of New Holland that he named New South Wales – were occupied by the British rather than another European power. The colonists brought with them English Common Law and British notions of political and economic liberalism; and the territories thus became self-governing and ultimately independent, democratic nations sooner than they might otherwise have done. James Cook was undoubtedly an immensely gifted seaman. But in that age of patronage and distinction between the social classes, this son of a Yorkshire farm hand was also extremely fortunate in the opportunities that came his way, the capacity to take advantage of them, and the support he received thereby from the great men of influence in the Royal Navy, the Admiralty, the Royal Society and at Court. 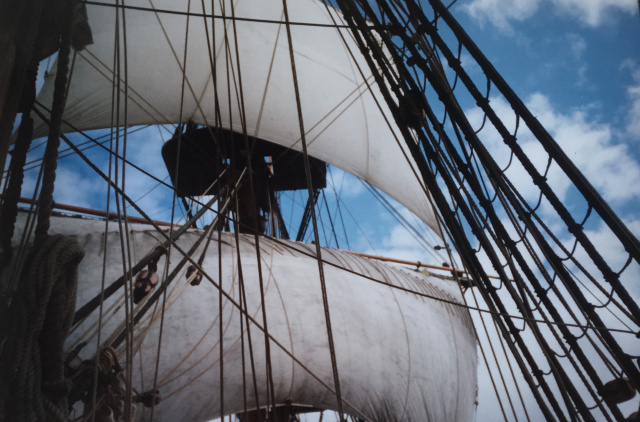 Cook learned his trade sailing merchant colliers from Whitby to London: those robust, deep-waisted, shallow-draught barks, of which Endeavour (and Resolution) became the most famous examples, because of the skill with which Cook used them in his Pacific exploration. Indeed, the discovery of Endeavour's likely last resting place off Newport, Rhode Island, where she was sunk in 1778 as part of a blockade during the American War of Independence, is a noteworthy aspect of these 250th anniversary commemorations. Transferring to the Royal Navy, Cook rose quickly from master's mate to master. He took part in the survey of the St Lawrence River that facilitated the capture of Quebec in 1759; and for the next decade Cook honed his abilities in navigation, mathematics and astronomy by charting the coasts of Newfoundland and Nova Scotia. The work brought Cook to the attention and patronage of the-then governor and subsequent Admiral Sir Hugh Palliser. This, together with the published charts and his paper on the observation of a solar eclipse, brought Cook to the notice of the Admiralty and the Royal Society. And that in turn led to his appointment to command the scientific expedition to observe the 1769 Transit of Venus at Tahiti, recently discovered for Europeans by Captain Wallis in the Dolphin, and thence to search for the unknown continent believed to exist in the South Seas. It was the Royal Navy’s – and one of the world’s – first voyages to carry a complement of scientists: something the Portuguese governor of Rio refused to accept and kept them on board Endeavour, believing them to be spies. Remarkably, Cook was dissatisfied with the results of his observation of the Transit, for there was over half a minute’s difference in the times his three teams recorded between the planet entering and leaving the sun’s limb. It had to do with the distortions caused by the sun’s ‘halo’ or penumbra; though when combined with observations taken at the same time from various parts of the globe, the earth’s distance from the sun was calculated pretty closely at ninety-five million miles. The Captain was also modest enough about his geographical achievements: proving that Tasman’s New Zealand was in fact two large islands and not part of any great southern continent; and believing that mapping the east coast of New Holland was no great discovery, though of some service to navigation and human knowledge. The Admiralty thought rather more highly of Cook’s accomplishments and quickly had him preparing for a second Pacific voyage, which he’d suggested: a nice example of the man making and seizing his own opportunities. Even on Endeavour Cook had begun to doubt the existence of any large undiscovered landmass in habitable latitudes; and the second voyage was to prove him correct, when he twice entered the Antarctic Circle – the first mariner with his crew to do so. Cook was rather less self-effacing about this feat. Indeed, at a time when European sailors had to depend either on the unreliable method of ‘dead reckoning’ or complex lunar observations and mathematical formulae to fix their longitude (though Cook came to realise the Polynesians had traversed vast stretches of the Pacific using the stars and currents as their guide), the second voyage contributed another mighty service to human knowledge. Cook had with him Larcum Kendall’s copy of Harrison’s chronometer – ‘our trusty friend’ Cook called it, ‘our never-failing guide the Watch’ – and by proving its worth revolutionised the practice of navigation and safety at sea. To which we should add the remarkable pains he took to care for the health of his crews. By insisting – to the extremes of the lash if necessary – that his men ate fresh meat and vegetables wherever possible, Cook did as much as any eighteenth century sea captain to eradicate scurvy from his ships. He introduced sauerkraut and concentrated lemon juice to Royal Navy diets; constantly collected greenstuff such as scurvy grass and native ‘celery’ at his landings; and made ‘spruce beer’ from local ingredients. It’s true that, during the three years Endeavour was at sea, she lost a third of her crew: but that was wholly due to other diseases, mostly contracted at Batavia, or to accidents. Not one man died of scurvy: an extraordinary thing in that age, after such a long voyage. Cook was no less fortunate that the Endeavour expedition brought him into the company and friendship of that wealthy young gentleman, Joseph Banks – a passionate student and patron of natural history, a genuine spirit of the Enlightenment, and already at twenty-three a Fellow of the Royal Society. In fact, he put up some £10,000 toward the cost of the expedition, a vast sum in those days. And along with his own enthusiasm and knowledge of the world, it was the quality of the scientific and artistic talent Banks brought on board with him that so contributed to the astonishing success of the voyage in both popular and cultured European opinion. The Royal Society had appointed a former assistant Astronomer Royal, Charles Green, to observe the Transit in company with Cook and his fellow officers. The novelty was that Banks had in his civilian retinue the celebrated Swedish natural historian, Dr Daniel Solander, a student and protégé of Linnaeus, together with his assistant, Herman Spöring, to identify and classify the tens of thousands of botanical, marine, zoological and mineral specimens the expedition found: many of them, from New Zealand and New South Wales, hitherto unknown in Europe. One of the plants, the genus Banksia, was later to bear its collector’s name. But there was also an extraordinary animal, like a greyhound that hopped, called a Kongouro [Kangaroo]. And eucalyptus trees that, defying nature as the Europeans knew it, kept their leaves and shed their bark! Accompanying the scientists were two artists: Alexander Buchan, employed to draw and paint the landscapes that the expedition visited and the people they met; and Sydney Parkinson, a young natural history draughtsman of great talent, to record for posterity the specimens they collected. As it turned out, Buchan died at Tahiti and Parkinson had to assume almost the entire artistic workload – a challenge to which he rose wonderfully. In the course of the voyage, before his own tragic death from dysentery and malaria on the way home, he produced over 1300 drawings or sketches, an average of more than two a day. They are of superb quality, depicting the ship, the landscapes, the people, the flora and fauna they encountered. Banks had 743 of Parkinson’s finished botanical watercolours engraved at great cost under Dr Solander’s supervision, intending to publish them. Curiously he never did. It wasn’t until 1980 – two centuries later – that the complete Banks’ Florilegium began to be published, and the full extent of Sydney Parkinson’s artistic achievement was revealed. Even so, from prints made at the time after Parkinson’s drawings, Europeans saw for the first time the tattooed head of a Maori, the two Aboriginal men, armed with shield and spear, who confronted the landing party at Botany Bay. There was more than just the depiction of a Maori. In his vast collection, Joseph Banks also had the severed head of a boy – acquired by trading his underwear with a local chief at ‘Cannibal Bay’, as the crew called their anchorage in Queen Charlotte Sound. Very gruesome … but undoubtedly very fascinating. And it was this fascination with recording the local customs, social mores, structures, languages, beliefs and behaviours of the native inhabitants – with collecting artefacts, items of clothing, weapons, utensils and objects of veneration that further enriched the importance of the Endeavour voyage. Indeed, the great ethnographic collections brought back by Banks – and later by the Forsters, father and son, from the second voyage – laid the foundation for the modern discipline of anthropology. Much of the material was dispersed – even lost – over the years, though there have lately been some splendid touring exhibitions bringing many of the artefacts together again. More are planned for the 250th commemoration years; and the reopening of the Banks collection at the Pitt Rivers Museum in Oxford is yet another cause for celebration. Nor were the new vistas opened up by Endeavour confined to the academies: they had a huge effect on the public imagination. The idealised accounts of life in Tahiti, and the return to Europe of a Tahitian man named Aotourou with de Bougainville and another called Omai from Cook’s second voyage, fed into those concepts of the ‘noble savage’ so popular of the time. They were believed to epitomise the seeming happy innocence of humanity in the state of nature before we were corrupted by political institutions, as supposed by some Enlightenment philosophers. ‘Man was born free, and he is everywhere in chains,’ wrote Jean-Jacques Rousseau in the opening lines of The Social Contract. These were influential ideas in the growing resistance to autocratic government in the later eighteenth century, culminating in the American and French Revolutions. They resonated again in the slogan of the communist Karl Marx during the following century, ‘Workers of the world unite! You have nothing to lose but your chains.’ And who could argue those words don’t echo down to the present day? Of course, the Endeavour men, who had also seen the piled-up bones of warriors killed during a recent war in Tahiti, or observed the remains of a Maori cannibal feast, could have told them that life was not all tranquility and bliss in the state of nature. Human beings were as prone to conquest and violence everywhere. Indeed, Thomas Hobbes’s view of life in such a condition as ‘nasty, brutish and short’ might too often be considered as closer to the mark. Still, that didn’t stop exotic notions of a tropical paradise from influencing artists, players and writers down the generations, from Robert Louis Stevenson to Paul Gaugin. To be sure, they had their own reasons for moving to Samoa and Tahiti: but idyllic imaginings of the sweet and plenteous life, brought to Europe with Wallis, de Bougainville and Cook, were very persuasive. As they still are. I’ve been smitten by them since I first read Treasure Island. Given the vast amount of material brought back by Banks and his party, it’s not surprising that public opinion initially saw the Endeavour voyage as his expedition and credited him, rather than Cook, with responsibility for its success (though the Admiralty knew better). After all, Banks was a rich young gentleman who’d invested heavily in the venture, and was rightfully due all the accoutrements of celebrity in that deferential age. He was presented first to the King, and he subsequently introduced Cook and Solander, whom he’d appointed his secretary and librarian. Banks became lionised throughout London society, his collections the magnet of the educated world in Britain and Europe. And when invited to join Cook’s second expedition to try to find the southern continent, it’s not surprising, perhaps, that Banks rather came to think he was in command of the enterprise. He put up more money; gathered a retinue of seventeen people, including musicians; demanded changes to the superstructure of Resolution to accommodate them; and when the vessel became so top-heavy the ship threatened to capsize and was altered back to something like the original, Banks withdrew his party in a fit of temper and refused to sail. It was surely one of the most foolish dummy-spits in scientific history: though not so surprisingly Cook remained on cordial terms with Banks. He was always the ‘humble and obedient servant’ in their correspondence, for he knew his place in the social order. He sent Banks several casks of preserved birds, fish and a box of plant specimens from the Cape on his return from the second voyage. And when Cook was killed in 1779 at Hawaii – the group of islands he discovered for the Europeans during his third voyage, trying to find the North-West Passage over the top of America – Banks did as much as anyone to ensure the Captain’s achievements became fully known to the world. It wasn’t until after his death, indeed, that Cook became immortalised as the great and humane navigator he was, and he took his own place in the firmament of celebrity. Where his star continues to shine brightly (if not uncritically from an indigenous point of view) during these 250th commemorations, while that of Joseph Banks has dimmed somewhat by comparison in the public mind. Perhaps, in this transit of personalities and endeavour, it has something to do with the radiance of Cook’s own ‘halo’. Beyond all the enduring consequences of the Endeavour voyage, however, there remains the sheer adventure of the expedition itself. That intoxicating draught of fear and daring when first journeying into the unknown – of sailing into a vast, blank space on the map, and not knowing what might happen. Much, in our own day, as we all felt when humanity first flew with a rocket-ship into space. I'd long wanted to write the Endeavour story with the immediacy it would have had to somebody on board at the time: but it wasn't until I was reading J C Beaglehole's Life of Captain Cook that I found a way into it. There was a single reference to a young fellow, Isaac Manley, only thirteen at the time they left in August 1768, who rose to become an Admiral, lived to be eighty-two and was the last survivor of the Endeavour crew. Here, I thought, was my subject. Isaac had gone on board as servant to the sailing master, Robert Molineux – more akin to an apprentice in our terms – to learn his ropes; and he must have done well, for Cook made him a midshipman on the way home. It was his first step up the ladder of promotion ... and gave me a chance to tell the tale through fresh, young eyes, in the dawn of life when everything is new. Very little had been written about Isaac up to that time. Indeed, when I began the research project I was privileged to be given four hours with Cook's Endeavour journal at the National Library of Australia. He makes no mention of Isaac in it at all, although his name certainly appears in the ship's muster book and in Cook's letter to the Admiralty afterwards, praising him as one whose 'behaviour merits the best recommendation'. Even during two years of research I could find nothing that Isaac wrote about the voyage, despite his long and prospering life. Yet all the time I was reading Cook's Journal I was conscious of the lad living and growing, darting between the lines as, day by day, the Captain wrote his epic words on the page. During my own sail on the Endeavour replica, I made the rounds one night with the watch through the decks of the sleeping ship to ensure that all was well. And I felt very much as Isaac must have done when he did it for the first time after Cook made him a midshipman. The responsibility was palpable – and it drew me closer to my theme and to all that happened. I came closer to Isaac Manley, as well. 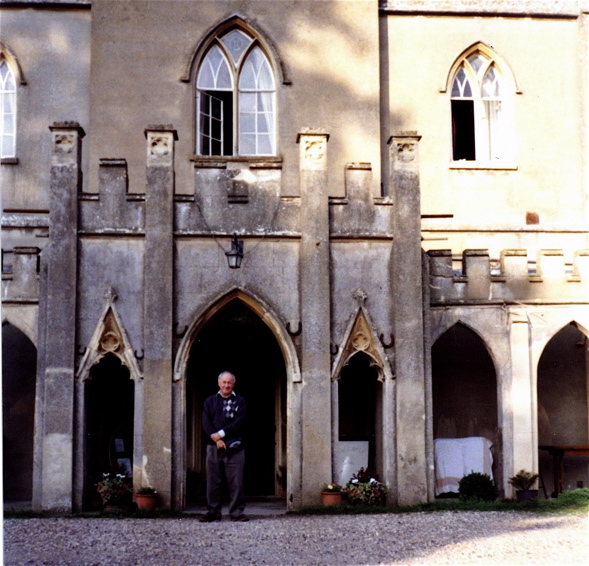 Later in the research journey I stayed for several days in the lovely Georgian ‘gothick’ mansion he built for his family in Oxfordshire. You can tell a lot about somebody's personality and motivations when you inhabit for a little while the rooms they made for themselves. And by coincidence, a few years ago, I acquired a map signed by Admiral Manley not long before he died. It shows of course the coastlines of New Zealand and New South Wales that he was among the first Europeans to see as a boy. I must say it was a constant companion while preparing this new edition of Captain Cook's Apprentice. I was in direct contact with Manley, as I had been with Cook through his Journal. Having said that, it's important to add that the novel is essentially a literary re-creation: a ‘mess deck view’, as I said, of the voyage as I imagine Isaac might have experienced it. The girl Heimata and the pearl, Isaac’s thoughts, speech, feelings, and the internals of character are wholly fictional. Yet I have sought to remain true to the externals of the Endeavour narrative. The sequence of events as they unfold, the opinions of Cook, Banks and others, have been based closely on their journals as documented in the Chapter Notes. In this, I have tried to keep faith with the many people mentioned in the Acknowledgments who helped with my own journeys in Australia, New Zealand, Tahiti and Britain – as I sought to do justice to the vision I had of the youth who kept appearing in the spaces between Captain Cook’s bristling words in the manuscript room at the National Library. The first edition of Captain Cook’s Apprentice did well, and received its share of attention. And in thanking Penguin Random House for deciding to publish this new and expanded edition to coincide with the 250th anniversary of the mighty Endeavour enterprise, I rejoice that the tale has been brought before another generation of readers. For truly it touches all our lives.